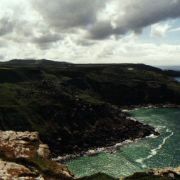 The village of Zennor lies between St Ives and St Just, on the Atlantic coast of Cornwall. 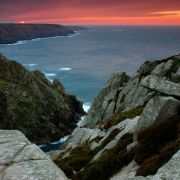 It lies above the high, rocky cliffs of the coast and the rugged, boulder-strewn, granite hills and moors. 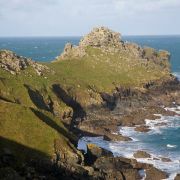 There used to be a stone quarry on Zennor Hill, and local granite was used to build much of St Ives and the Falmouth Harbour walls. 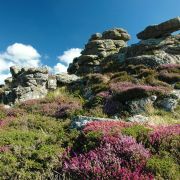 This is a romantic, wild and brooding landscape which has been inhabited for at least 4000 years. 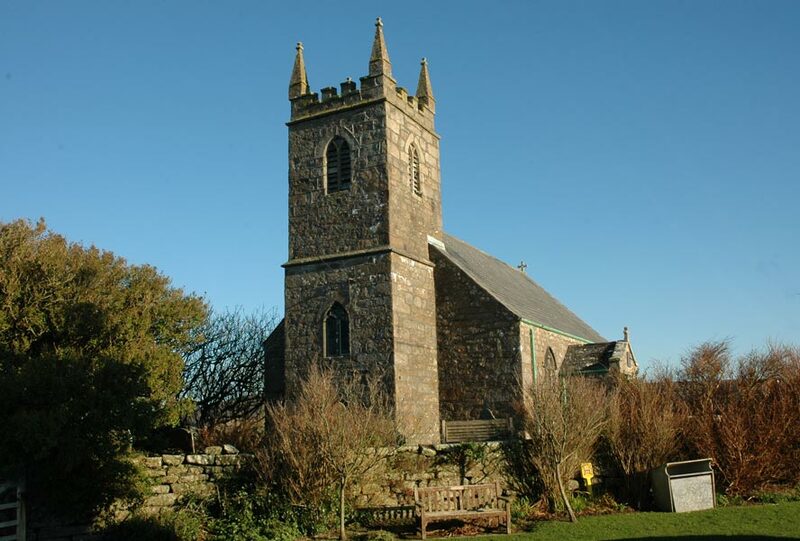 In 1748 and later, John Wesley preached to the people of Zennor in an attempt to convert them to Methodism. A large stone by the road leading into the village is said to have been used as a pulpit by him. 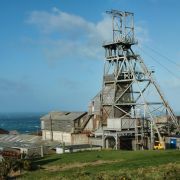 Farming, fishing, quarrying and mining were the industries of the past in this part of West Cornwall. The quarry and the mines closed long ago and there are only a few farmers and fishermen remaining today. Now the main industry is tourism. 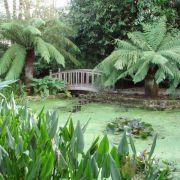 The Wayside Museum was founded in the 1930’s and illustrates many aspects of life in West Cornwall long ago. 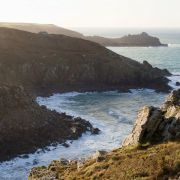 It comprises of a cottage with a traditional Cornish kitchen and an outdoor exhibition of domestic and mining tools, including waterwheels, corn grinding wheels and tools dating from 3000BC. 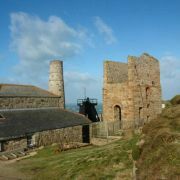 A mill building contains a collection of early agricultural implements and there is evenm a blacksmith’s forge can be seen. 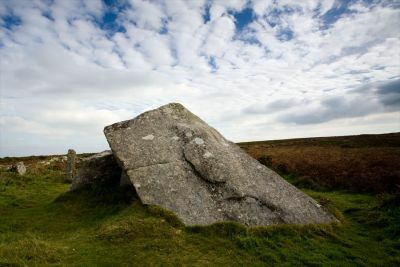 Zennor Quoit is an imposing tomb high on the moor in a desolate, windswept position. It is a portal dolmen with an enclosed burial chamber, an additional antechamber and entrance façade. 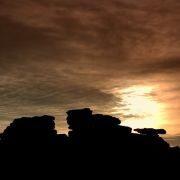 The capstone weighs more than 10 tons and is now at an angle having slipped at some time. It appears to be in contact with only one of the five supporting stones. 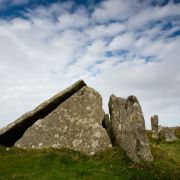 There are two large slabs at either side of a closing stone and beside the tomb are what appear to be 5 standing stones - these are in fact the remains of a cow shed. 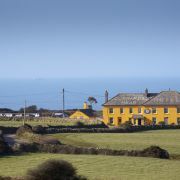 During the First World War, D.H Lawrence and his German wife, Frieda, stayed at the Tinners’ Arms and later rented Higher Tregerthen, near Zennor. At the time, he was writing Women in Love. The local people were very suspicious of the Lawrences, believing that they were German spies and they were eventually ordered to leave the area by the local police. Perhaps Lawrence invited this suspicion. 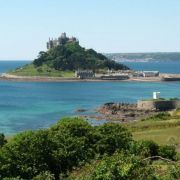 When he first went to Cornwall, he was very critical of the Cornish describing them as …like insects gone cold, living only for money, for dirt. They are foul in this. They ought all to die. Yet in the next line he admits …Not that I’ve seen much of them – I’ve been laid up in bed. But going out, in the motor and so on, one sees them and feels them and knows what they are like. It’s hardly surprising that the locals didn’t care for the eccentric writer. 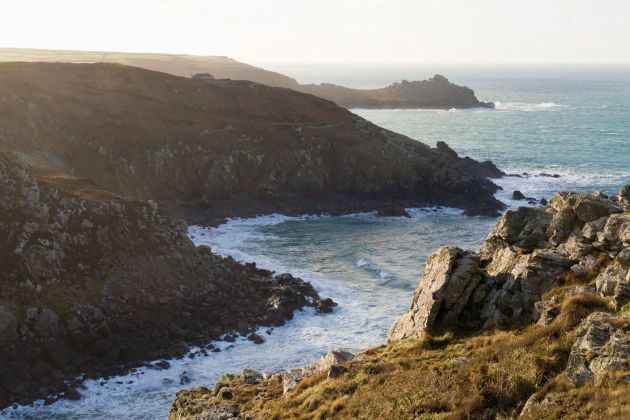 Zennor was one of the last bastions of the Cornish language. 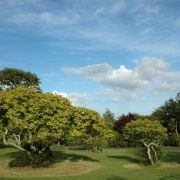 Although the last person to have Cornish as her sole language was said to be Dolly Pentreath, buried in the village of Paul near Mousehole, John Davey of Boswednack, Zennor was one of the last people with a traditional knowledge of the language. He died in 1891, aged 79. 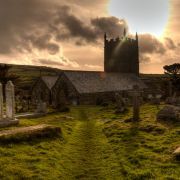 The Norman church of St Senara in Zennor probably stands on the site of a 6th century Celtic church. 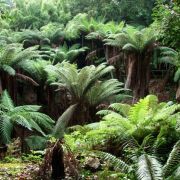 It is believed to be named after Princess Azenor of Breton, the mother of St Budock. It was restored in 1890, by which time all but one of the original carved oak seats had disappeared and been replaced by family boxes. Two medieval bench-ends remain and have been made into a seat. 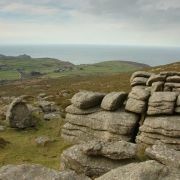 One end is the famous carving of the Mermaid of Zennor. She holds a comb and a mirror in her hands. Legend claims that this siren enticed Matthew Trewhella, the handsome son of a churchwarden, into the sea. 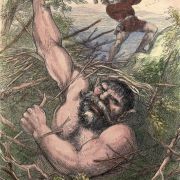 He was never seen again. Trewhella is a very old Zennor family name. 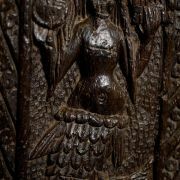 On the south side of the church tower is a bronze dial, bearing the figure of a mermaid, and an inscription dated 1737. There is a coffin rest at the gate to the church. This dates from the time when the dead might have to be carried quite a distance in their coffins to the church. Before the coffin was carried into the church, it was placed on the coffin rest for a time. The pallbearers sat on the stone benches alongside to rest. This was to ensure they were fully recovered and able to carry the coffin with decorum into the church for the burial service.